When a medium to large tree is removed, the tree stump is often left behind since the dirt/sand ruins chainsaws. These tree stumps can often be dangerous if not marked prior to removal. Homeowners can use this cost guide for a better understanding of why removing tree stumps is important. Find out the various costs associated with the stump removal process and how stump grinding works. The various factors that can increase or decrease the total expense have to do with over all depth of the tree and size of the stump/roots. Unlike tall/overgrown trees, which may pose a hazard to surrounding structures, tree stumps can appear relatively unobjectionable. However, there are a number of important reasons you should remove tree stumps from your yard. Stumps that are cut low to the ground may get hidden by overgrown shrubs or grass, however this only makes them more of a risk for young children and adults walking. Having tree stumps in your lawn can also significantly lower a property’s curb appeal, which lowers value if the owners want to eventually sell the home. Another major issue that many fail to realize is stumps attract insects. 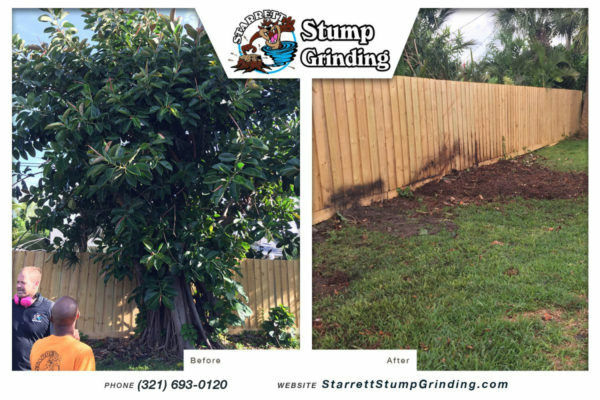 The most effective way to remove a tree stump is to have a professional come in and use a commercial grade stump grinder. These industrial machines are equipped with many large spinning blades, and they will quickly reduce even hardwood stumps to pieces of sawdust. When the machine is focused at the roots in the ground they too will be ground away. 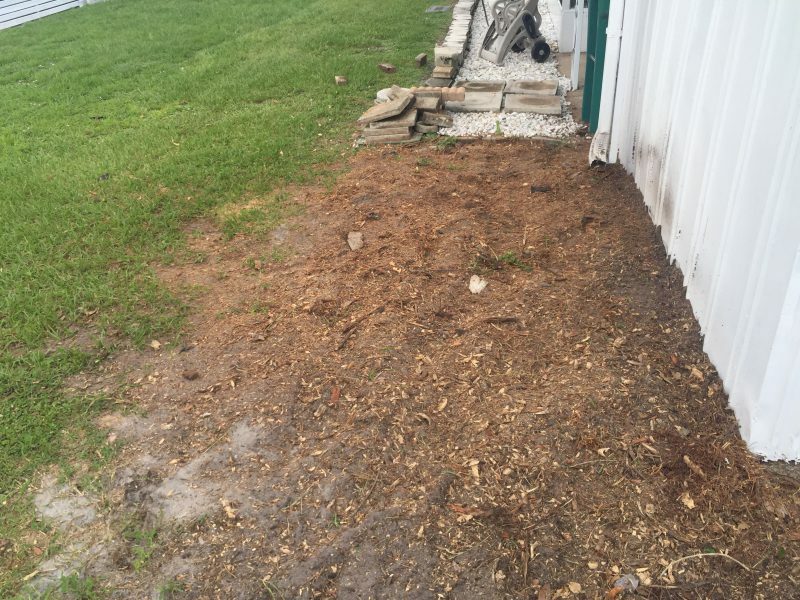 This ensures that the complete area can be turned into a flat area for a bed of mulch, new tree, or green lawn with no problems. Many times the speed of the stump removal (job/project) depends on the expertise of the user and the quality of the machine, matched with the ultimate size of the root system in the tree. Pricing may vary based on size of the job, It will cost between $162 and $472 with a national average of $298 to remove a stump. Cost vary from $2 to $5 per diameter inch with a minimum cost around $100. Prices fluctuate with size, accessibility and your location. Stump removal is usually best left to professionals due to buried utilities and the potential for property damage.